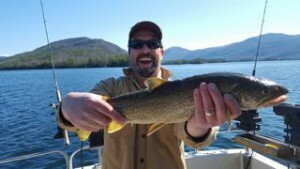 Home > Fishing Lake George > Lake George Fishing 2016- Beat the Summer Crowds. Fish Now! 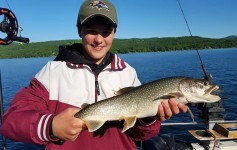 The 2016 fishing on Lake George is off to a great start. The lakers are looking good and it promises to be a spectacular season. On the Highliner, we really enjoyed some Spring Break outings and customers helped up keep up the Highlander Charter Fishing perfect record. 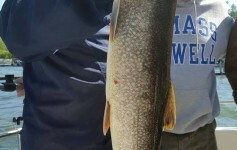 I’m sharing some Lake George fishing photos. 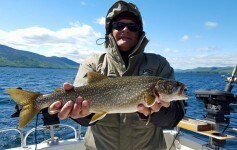 Book your Lake George fishing guide trip, fishing charter or other summer adventures now. Check out the many inns, cottages, hotels and hidden gems our area has to offer.